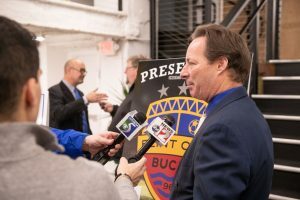 The former Michigan Bucks, regarded as the most successful franchise in the former Premier Development League’s history, will compete as the Flint City Bucks this year. 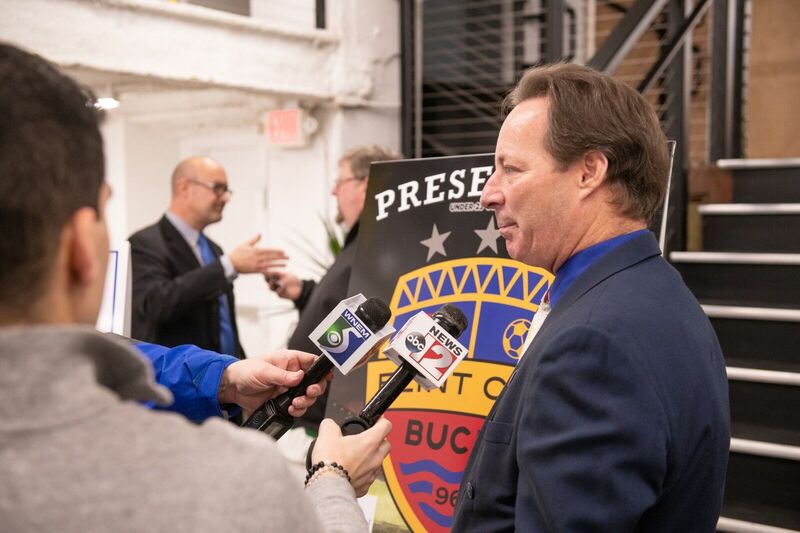 A name-change announcement for the soccer club that will call downtown Flint’s Atwood Stadium their home field was held at Ferris Wheel Jan. 30. More than 1,000 online entries submitted for the franchise’s “Name the Team” contest in 2018 helped lead to the announcement, which was determined after a collaboration with Whaley Children’s Center. 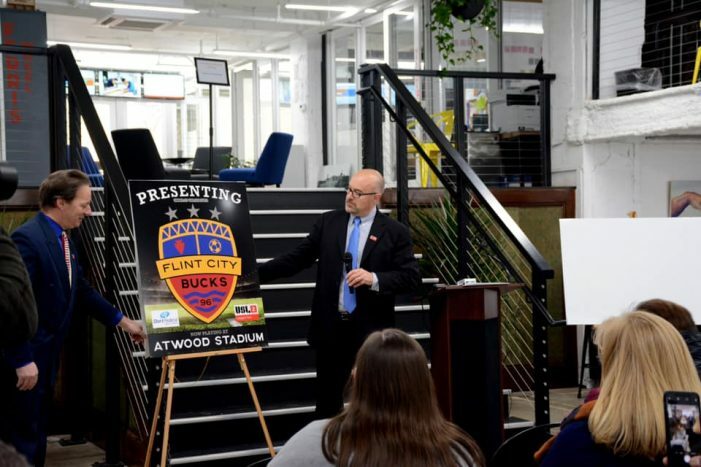 Also revealed was a new team logo and design, featuring colors that symbolize Flint’s history of blue-collar labor, the red bricks on Saginaw Street downtown, and gold to salute Kettering University, which renovated Atwood Stadium. Dan Duggan, team chairman, praised fans and the community for their participation and support. Contest co-winner Kayce McClure, a freelance photographer, will receive four VIP inaugural season tickets, two VIP parking passes and a team autographed jersey. Whaley Children’s Center will be able to attend any soccer game as a reward for its participation. The former Michigan Bucks have won multiple regular-season titles throughout the franchise’s history, plus three North American competition titles, one as recently as 2016.